A blogger who writes about living with autism, dyslexia and dyspraxia after spending 20 years on incapacity benefit has persuaded the Labour party to appoint a shadow minister for neurodiversity. Monique Craine wrote an open letter to Jeremy Corbyn urging him to help end the discrimination suffered by an estimated one in five of the population who have some form of neurological condition. She never expected the suggestion to be taken seriously. But nine months later the shadow chancellor, John McDonnell, has pledged to take up the cause as part of Labour’s ambition to champion grassroots reforms. He announced that Craine’s proposal of a neurodiversity shadow minister would be implemented to ensure the issue was given the same prominence as tackling racial and sexual discrimination. Speaking at a private book launch earlier this month, McDonnell said: “I had an email from a woman called Monique who said these are the issues that I face and this is what we need from you and Jeremy Corbyn when you go back into government. I am supporting call for Labour to develop an Autism Manifesto and appoint a Shadow Minister for Neurodiversity & will consult on details. Craine, a mother of three from near Swansea who now relies on tax credits to supplement her income as a life coach, said she was “elated” and “blown away” by McDonnell’s response. She is scheduled to meet McDonnellon Tuesday to discuss the idea, when she will insist that the role should be filled by an MP who has been diagnosed with some form of neurological difference. “It is crucial for me is that it should be someone who is neurodiverse themselves,” she told the Guardian. 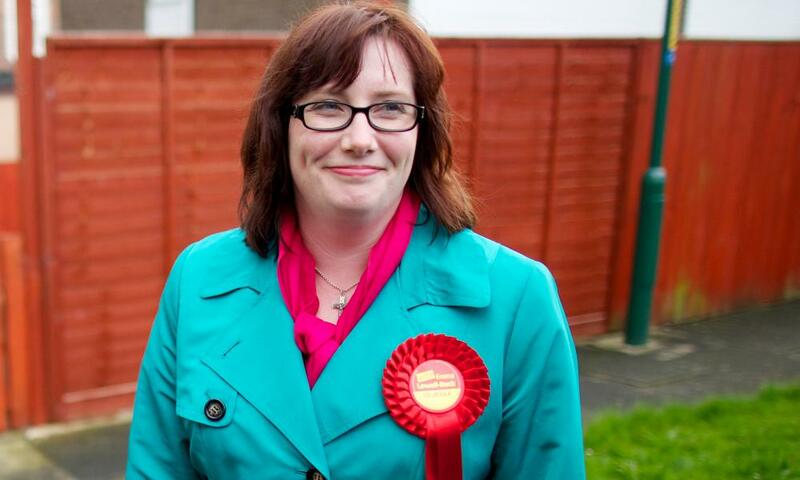 She suggested Labour MP Emma Lewell-Buck, who has been open about living with dyspraxia, a coordination disorder. But she added that other MPs may come forward who have not yet disclosed their condition. “I think there are people in the party who have these differences but I don’t think they have come out,” she said. “I would welcome anyone to do the role who understands the complexity of neurodiversity. Craine was written off at school as “retarded” and left with virtually no qualifications. But after being diagnosed as dyslexic at 27 she went on to get a degree in communications from the University of Glamorgan. She was later diagnosed with autistic spectrum disorder and dyspraxia. “I prefer to call myself neurodiverse because I’ve got so many diagnoses it’s such as mouthful and they sound so negative,” she said. Craine spent 20 years on incapacity benefit but now specialises in helping people cope with neurodivergent differences. “We just work differently and when those differences are accounted for we achieve a lot more,” she said. She draws inspiration from the contribution of historical figures now thought to be neurodiverse, including Albert Einstein, Henry Ford and Alan Turing. McDonnell, a member of the all-parliamentary group on autism, said it was scandalous that only 15% of people diagnosed with autism were in work. He also pledged that Labour would draw up an “autism manifesto” and sees this as a potential blueprint for a new approach to reform. Launching a book about autism in the workplace, he said: “I welcome the Attlee government’s welfare state, but it was based on the old Fabian thing where you have policy experts who drive the policies … and then implement it from above. “Our policies in the future have got to come from empowering people … it has to come from that grassroots engagement with the people who really feel and experience the policies at the end of the day.